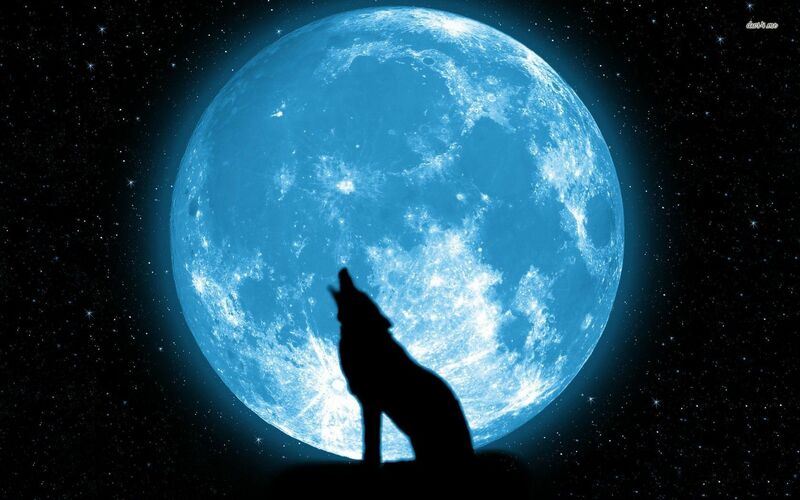 On May 21, 2016 the full moon will shine blue in the night sky. 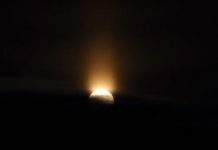 A blue moon? Not really! There are normally only three full moons in each season of the year. And this May’s full moon is the third of four full moons during Springtime (March Equinox to June Solstice). 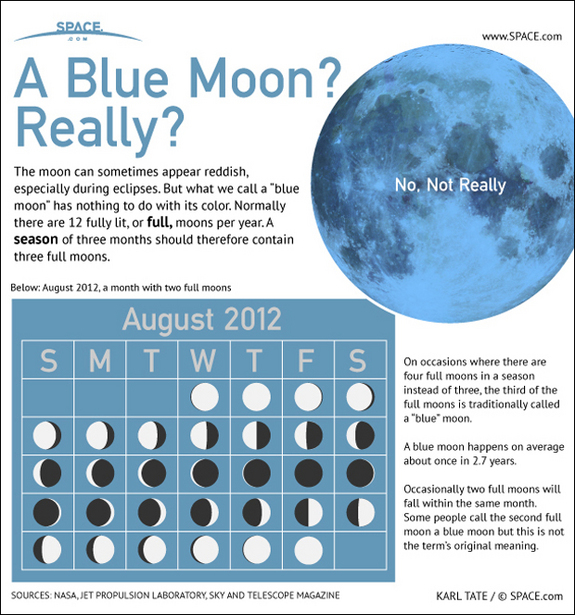 Therefore, it is known as a blue moon. There are normally only three full moons in each season of the year. But since full moons occur every 29.53 days, occasionally a season will contain 4 full moons. 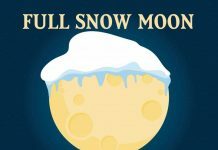 The extra full moon of the season is known as a blue moon. 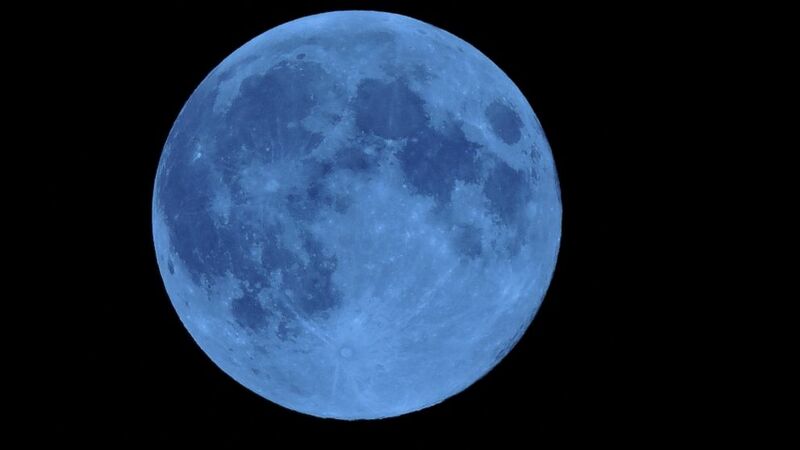 Blue moons occur on average once every 2.7 years. The Moon will be fully illuminated on May 21, 2016 at 21:15 UTC. 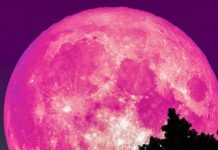 This full moon was known by early Native American tribes as the Full Flower Moon because this was the time of year when spring flowers appeared in abundance, but also as the Full Corn Planting Moon and the Milk Moon. A blue moon is also the second full Moon in a month with two full Moons (next: 31 January, 2018).